When we hit the beach this summer we want to be as prepared as possible. We’ve got the best tools to protect your skin from sun damage and quickly fix your hair after a dip in the sea. We’ve also got the best products to easily fix your makeup so you can go from boardwalk to dinner with little transition time. Vacation is all about enjoying yourself, and the last thing you want to do is waste time primping. These beach bag essentials are everything you need to look flawless after a fun-soaked day. Worry less about reapplying by using a waterproof sunscreen that will last even through several swimming breaks in the ocean. Neutrogena’s Beach Defense Sunscreen Spray is our top pick. With SPF 70 and an easy spray-on application, this product is guaranteed to protect you on all surfaces. Due to its lightweight and fast-absorbing characteristics, the sunscreen spray won’t feel oily or sticky. In fact, you won’t feel it at all! Reapply every couple hours to completely avoid sun damage. Girls will be girls, and we know everyone just wants a good tan. The healthiest way to tan is the use a product with plenty of sun protection. Hawaiian Tropic’s Tanning Oil Pump Spray has an SPF 15 with UVB/UVA protection. Be sure to reapply frequently and especially after swimming and towel drying. We advise not spending the whole day tanning though. For your health and wellbeing’s sake, get in the ocean and enjoy the many activities the beach has to offer! Your lips need some SPF-love just like the rest of your body. Reapply a lip balm throughout the day with at least SPF 15. 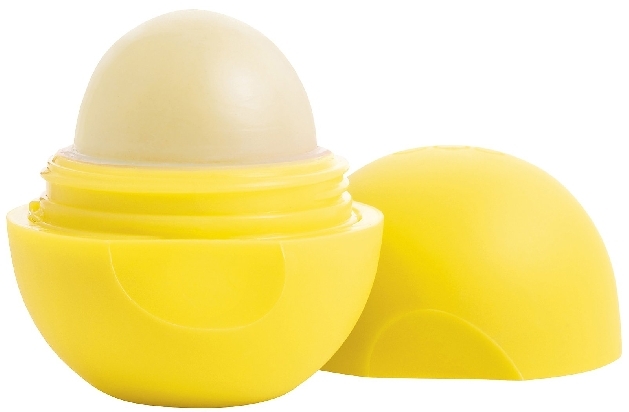 We love eos’s Lemon Drop Smooth Sphere Lip Balm with SPF 15, which we’ve mentioned before in Tips for Your Best Lips Ever. On top of featuring a fresh lemon scent, this lip balm is easy to apply and will nourish your lips while protecting them from the sun. Go ahead, swim in the sea and get your hair soaking wet. Not Your Mother’s Beach Babe Texturizing Sea Salt Spray will refresh your hair before your evening plans, while also leaving your hair with a fresh, beachy scent. Spray on wet hair for natural, beautiful waves that you simply can’t get with a curling iron. If you want your makeup to last all day, then you’ll need oil absorbing sheets. Wipe away excess oil that comes from sweat and buildup throughout the day, and keep your face looking fresh, clean, and with an even complexion. Clean & Clear’s Oil Absorbing Sheets won’t smudge your makeup, and they come in a convenient, portable package. Another great way to keep your face from acquiring too much shine is to reapply powder once you’re dried off. It is best to wait until you know you’ll be out of the water for the rest of the day. You can apply some powder before heading to your next activity to quickly cover up any blemishes or red spots that became noticeable after swimming. This is a great essential to always keep in your bag regardless of where you’re at. Our favorite powder foundation is Lancome’s Dual Finish because it can stand alone without a liquid foundation or concealer. Don’t hit the beach without waterproof mascara. Nobody wants to be that person who is constantly asking if her makeup’s running. Flaunt your long, bold lashes without the stress of runny makeup. Our go-to waterproof mascara is Maybelline’s New York Great Lash Waterproof Mascara, and we’ve been wearing it for years for its intense volume and length. This isn’t your typical bronzer because it covers you from head to toe. 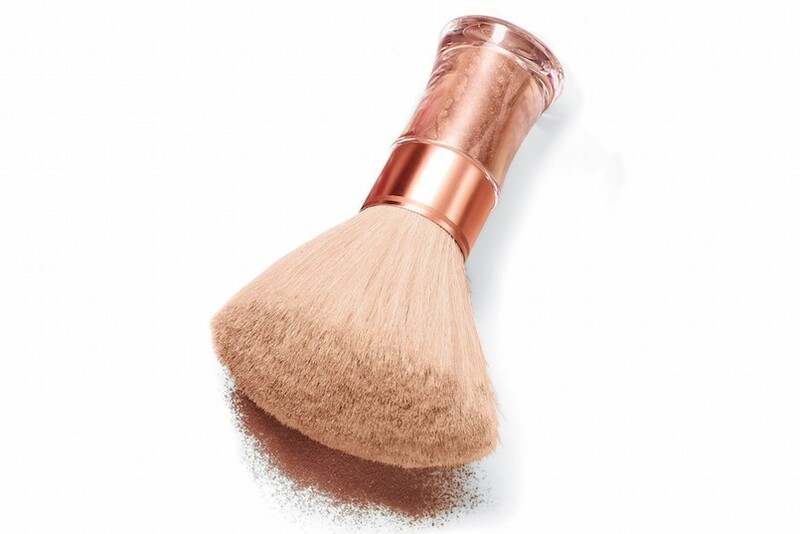 The large brush on Victoria’s Secret Instant Bronzing Shimmer Powder makes it a quick application, and it will make your well-deserved tan glow even more. If you spent a little too much time in the sun and now have a lobster “glow,” then aloe vera is just what you need. A lotion or gel that contains aloe vera will soothe your skin and reduce the pain of a sunburn. An aloe vera product will also speed up the healing process of a sunburn so you can get back to the beach as soon as possible. Banana Boat’s Aloe Vera Sunburn Relief Gel is a reliable product to keep nearby. The fastest way to transition from the beach to a sunset dinner is to throw your beachy, texturized hair up into a ponytail. A loose and low ponytail will maintain the look of your waves, while a high, tight ponytail will make your sun-kissed face radiate. Try these fun tie-dye hair ties from Kitsch. Gather all these items in your beach bag and you’re ready to go without a worry on your mind!